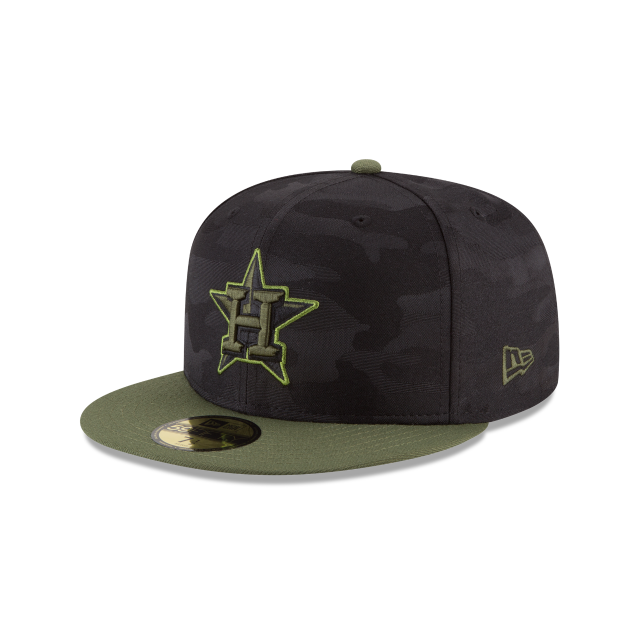 This years Memorial Day hats for the MLB feature a black camo cap with an Army green visor and button. The team's logos are embroidered in black with that same Army green outline. On the sides we see our five-star Military mark embroidered at the right side, New Era flag at the left side and the MLB Batterman logo at the rear.